Dona Meinders joined WestEd’s Center for Prevention and Early Intervention in 1999. She directs the Least Restrictive Environment Resources Project, a California Department of Education-funded project; and the Early Intervention Distance Learning Project, a federal project funded as a collaborative effort between various California State Universities and the Department of Developmental Services. 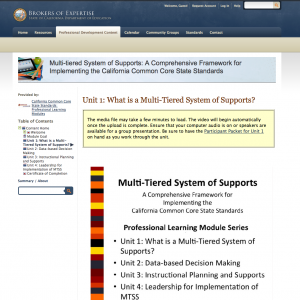 Meinders also works with the agency’s California Comprehensive Center to help build capacity of schools and districts to improve student achievement and to support students with special needs. She also helps build capacity of statewide systems of support and statewide networks. 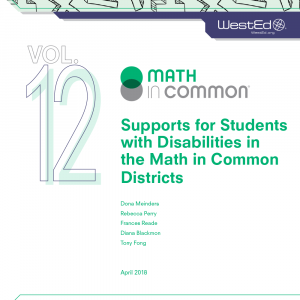 As part of WestEd’s Comprehensive School Assistance Program on School Assistance Intervention Teams and District Assistance Intervention Teams, Meinders has helped schools improve their academic achievement and has provided follow-up technical assistance to school staff. Meinders received a BA in child development from California State University, Sacramento, and an MA in education from California Polytechnic State University, San Luis Obispo. She also holds Severely Handicapped Specialist, Learning Handicapped, and Multiple Subject credentials.